What features of credit union data processors are you looking for? Sharetec has all the features you expect in a back-office module plus a job scheduler to automate repetitive tasks. Advanced custom reporting with interfaces to office productivity applications make Sharetec a winner with your back office staff. Scheduled report stacks and automated COLD archiving enable your staff to be productive even when they aren’t in the office. Sharetec supports both batch and real-time item processing. Had a better year than anticipated? Why not kick some of that back to your members? Bonus Dividend does exactly that. Sharetec can calculate an additional dividend based on your criteria and deposit a little present into your members’ savings accounts. What a great Christmas gift. Easy Saver is a great marketing tool to promote savings to your members. When your member pays $3.78 for coffee at Starbucks, Sharetec automatically rounds the transaction up to the nearest dollar, or $4.00 in this case, and deposits the extra $.12 to a savings account for the member. 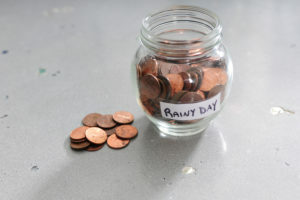 Pennies saved become dollars in a hurry. It is fairly common that we hear that ACH and Share Draft returns must be deleted from your core system only to be re-entered on the processors website. You can eliminate that double duty with our Electronic-Returns solution. If you mark an ACH or Share Draft item to be returned, the Sharetec System will electronically send the item back to your processor. The same is true for those annoying NOC transactions. Sharetec’s Fraud Alerts solution provides for “Real-Time” fraud monitoring during member searches, member transactions, member applications process and loan applications process, along with reporting capabilities based on a set of fraud conditions established in the Fraud Alert Control. A Fraud Alert Report is available on a daily basis to report the fraud conditions. Want to reward those really good members who have paid loan interest to your credit union? One idea is to refund some of that interest back to them. Interest Refund calculates a refund, based on a pre-determined percentage for each member who paid interest on a qualifying loan. Sharetec simply deposits the refund into the members’ savings account. What a great way to thank your members!